The Banjar Ballroom is located on the 3rd floor, with a capacity for theatre style meetings of 200 and dinner for 90. Planning a business event in Bali? Enjoy our profesionally arranged meeting package that suit your needs from small meeting to business conference and our dedicated team will help to make your event become a successfull one! Close enough to be truly handy yet just far enough away to ensure a peaceful and memorable Bali stay for all! Swiss-Belhotel Tuban is a great solution for corporate accommodation in Bali! 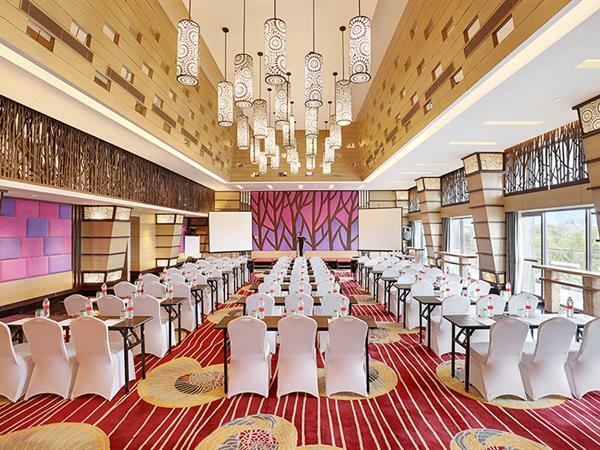 Swiss-Belhotel Tuban offering a beautifully appointed ballroom and meeting rooms. This facility is designed to be the perfect venue for any function from intimate smaller gatherings to large business conventions, exhibitions and family (or group), social events and corporate’s meeting in Bali.